[By Nick, New for 2014] With Carvel's recent partnership with Nutella, I'm ready to call 2014 the year of the hazelnut. So it's only fitting that Ciao Bella‎ got in on the action as well. However, they decided to go in a different direction than the other companies. While most companies are sticking with the delicious chocolate/hazelnut combination, Ciao Bella is going the caffeinated route and going with the combination of coffee and hazelnuts. While it's not a unique idea, I’ll give them props for being the first to distribute the combination in frozen dessert form to the masses. Admittedly, if I'm having a flavored coffee product hazelnut isn't my first choice. It's not that I don't like it; it's just not all that appealing to me. Unscrewing the lid, I’m not sure if I’m seeing specks of the espresso chocolate or if this flavor is among the lines of their Triple Espresso (which is no longer around) which had coffee grounds mixed into the base. Either way, I’m ready to dig in. 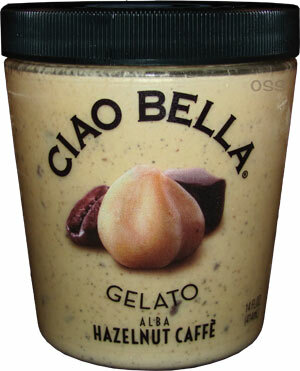 First off, Ciao Bella has improved their gelatos' texture with this re-branding effort. While I'd still be able to tell the difference between them and Talenti, the gap has definitely narrowed. The texture is smoother with that velvet quality I'm looking for in a gelato. The flavor is a bit of a surprise to be honest. This one should’ve been named Caffé Hazelnut because the coffee flavor is the main player here. The base actually reminds me of their retired Triple Espresso gelato I enjoyed last year. It's bold, robust and has the bitter qualities of a nice black coffee. 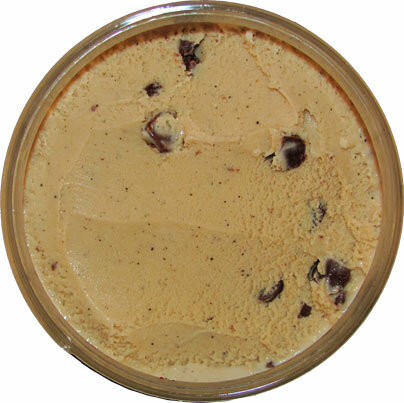 This flavor profile is strengthened by the espresso chocolate chips. Espresso chips are becoming a favorite mix-in of mine and that holds true here. These chips are a bit bigger than the ones you'd find in a pint of Talenti but just not as frequent. 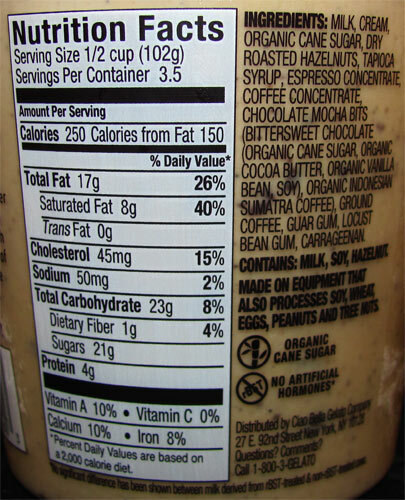 They add more bitterness to the product and the chocolate qualities make it almost similar to that of mocha in flavor. They really work to bring out the boldness in the base. I wish a company would just sell these chips around me so I could use them for my sundae project. Now I've talked a lot about the coffee flavor but the hazelnut is no slouch either. 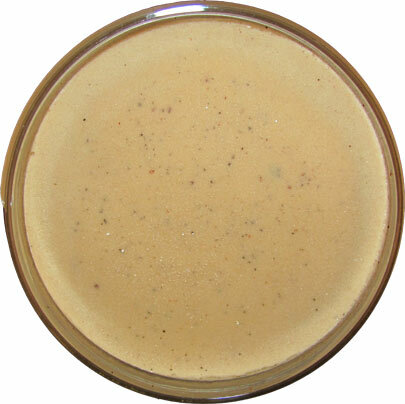 While it's not strong in the beginning, the nuttiness intensifies with every spoonful. It's more of an aftertaste and works perfectly with all the bitter components. Honestly as far as bold coffee flavors go, this is right up there with Ben & Jerry's Coffee Coffee, BuzzBuzzBuzz as one of my favorites. It's easily my favorite hazelnut frozen dessert I've tried as well. Verdict? Better than any hazelnut coffee I have ever had.